Students will report their classmates requests and commands. The present downloadable handout is intended for adults at Elementary (A1) level. 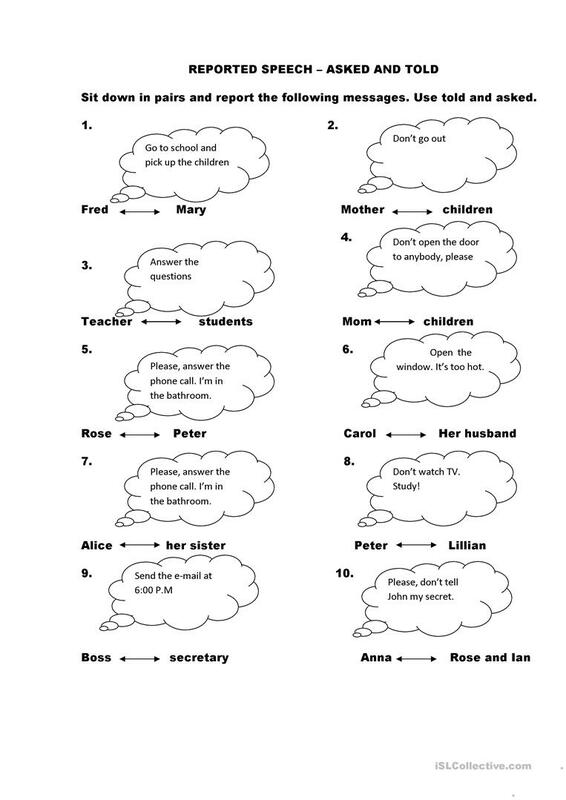 It is a useful material for teaching Reported Speech (Indirect speech) in English, and is a valuable material for enhancing your students' Speaking skills. It focuses on the vocabulary topic of Actions.